Home / Whitby / Go For Thai - No Really, Go! Go For Thai - No Really, Go! Want great Thai food on a budget? Keep reading. Go For Thai is a great spot for lunch or dinner. Prices are fantastic and the portions are healthy. When you enter, you are greeted by the very friendly staff. The décor is simple and sleek, nothing tacky in here. The booths are so cozy, but there are only a few! The menu offers a lot of choice. Soups and salads all the way to veggie and satays; you have a lot to choose from. We started with the Go For Thai's House Platter. It had everything. It came with calamari, spicy satay skewers, golden baskets and spring rolls. 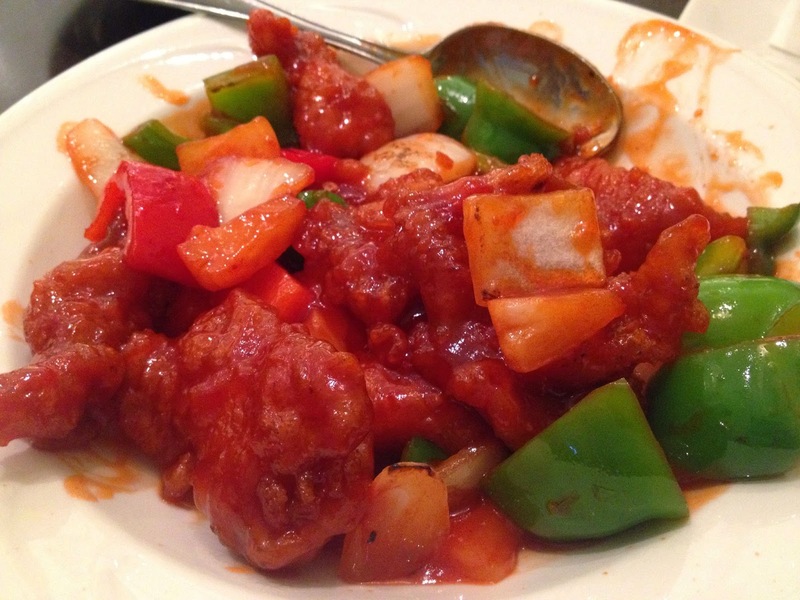 It's a big ol' plate of flavours; spicy and savoury. Yum! A great choice if no one can decide on an app. Now for the main courses. 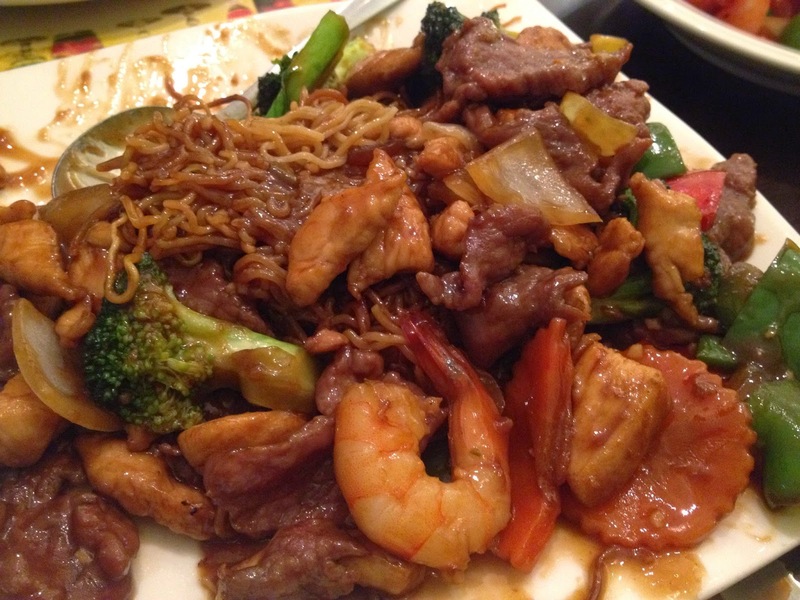 We chose Sweet & Sour Fish, Pad Thai, Cantonese Chow Mein and steamed rice on the side. The fish had a light batter and a light taste; my boyfriend would even eat it and he is not a seafood guy. The chow mein wasn't what I expected. I expected it to be like the Chinese variety. This had a fantastic Thai twist. They definitely didn't try to duplicate the Chinese version, they made it theirs and they made it good. 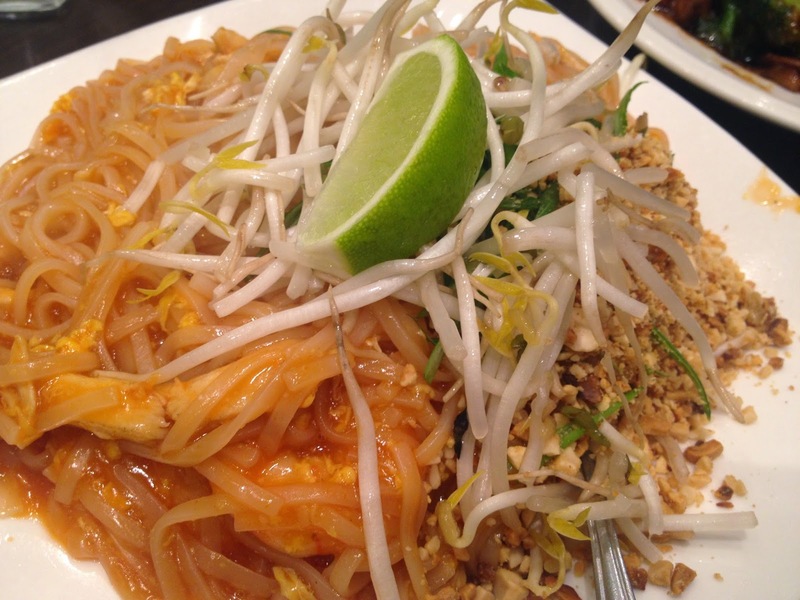 The Pad Thai was also not your everyday Pad Thai, sweet and citrus made this dish stand on it's own. The server might have been the owner. He thanked us for coming, gave us take out menus and told us about the daily specials for eat in and takeout. He was very gracious and said he hoped we'd come back. I've been here a few times for dinner and lunch. They are so consistent, it's crazy. Sometimes the service can be a little slow, but you soon forget once the food arrives. Fresh and fantastic! The lunch specials are under $10 and you don't leave hungry. Great deals! Highly recommended for Thai in Whitby!